Congressional staffers naively joined a public Wi-Fi network as they settled in for an hour-long cybersecurity training. Little did they know that any websites they browsed on their phones were about to flash on a giant screen. There was nothing too embarrassing. At least one person was killing time on ESPN.com. But the point inside the 18-wheeler truck was clear: If experts can trick staffers just steps from the Capitol, hackers can too. The truck folds out, Transformer-like, into a training room and data center run by computing company IBM. They call it the Cyber Tactical Operations Center, or C-TOC for short. 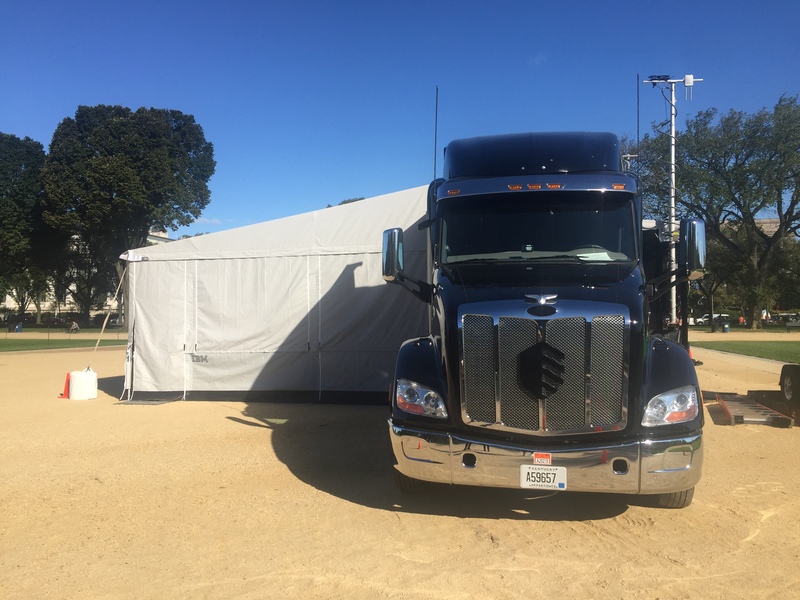 With less than three weeks to go until the midterm elections, IBM parked it on the National Mall to offer a crash course. If lawmakers have been thinking differently about security protocols ever since Russian operatives hacked the Democratic National Committee, so have their staffers — the people who answer emails, run social media accounts and otherwise handle business in the halls of Congress. Roughly 40 such aides cycled through the truck Thursday. Etay Maor, IBM’s executive security adviser, showed them how easy it is for hackers to capture information from unwitting internet users. Reaching digital first responders was part of the goal, said Caleb Barlow, IBM’s vice president of threat intelligence. “If you look at most of the breaches over the last 10 years, I would argue that the response to the breach actually causes more damage than the breach did, because people don’t know how to make decisions during those crisis moments,” he said. Congress came under scrutiny this summer as hackers targeted offices and campaigns even as training for staff remained incomplete. While the House mandated information security training for all employees in early 2015, the Senate did not follow suit. The next stop for the truck is Austin, Texas, and then Rochester, New York for the finals of a student cyber competition. After that it heads to Cambridge, Massachusetts and Atlanta, Georgia, before shipping off to Europe. Political conventions or sporting events may be in its future. It may be a drop in the bucket, but Cris Thomas, a researcher who also goes by Space Rouge, told staffers Thursday that every bit counts. Learning how hackers work can help ward off threats to democracy, he said.